Home » Policy Administration » Vendors » United Systems And Software, Inc.
USSI’s InsurancePlus is an efficient, flexible, and comprehensive policy administration solution with an integrated document management system that streamlines the workflow through image capturing, scanning and archiving to set up a company-wide network. Scanning improves the organizational workflow by taking snapshots of actual documents, thus preserving their accuracy. This comprehensive solution supports a wide variety of life and health insurance products including term life, health, annuities, and long-term health care. InsurancePlus accommodates several types of insurance plans in three categories, including individual life and health, group life and health, and workers’ compensation. Specifically, InsurancePlus’ group life and health administration system is designed to meet the administrative requirements of health providers like quoting and rating, flexible billing plans, policy issue, claims management, accounts receivable, fee schedules, and audit processing. 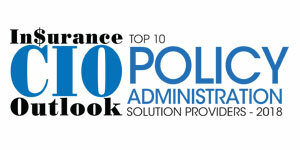 Policy administrators utilizing their solutions can generate accurate reports based on complex data swiftly. They also have the ability to produce accurate ad-hoc module reports and graphs in PDF format and reuse that data flexibly throughout the insurance policy cycle. Additionally, USSI’s policy administration solutions can be deployed as a Software as a Service (SaaS) solution decreasing the cost to market, and increasing productivity and revenue. Through USSI eSolutions Internet information portal, USSI renders support service by digitalizing the entire insurance policy process, enabling users to access information over the World Wide Web. With advanced customer service support, authorized personnel can achieve online document storage and retrieval, document distribution through email, internet content, policy generation, real-time accounting, and electronic funds payment processing. With such capabilities, USSI has helped hundreds of companies to overcome their operational challenges. For instance, U.S. Alliance, an insurance startup, was planning to sell and administer policies in 90 days from the business setup, but they lacked IT expertise which put their plans in jeopardy. USSI was excited to meet their ambitious goals and rose to the occasion. USSI’s InsurancePlus Individual Life+Health Administration System, including Internet information portal and integrated document management surpassed their requirements and successfully fulfilled all business objectives well within budget. Since then, USSI’s quality software solutions and client support have been an integral part of U.S. Alliance Corporation’s successful journey. Aligning with the latest technologies, USSI provides clients with software solutions and professional services that empower businesses to remain profitable, competitive, and manage their entire book of business while maintaining a long-term relationship with clients and business partners.